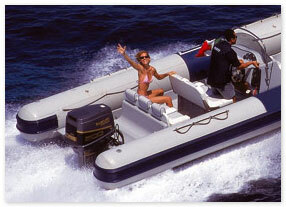 TIDEL provide a range of Inflatable Boat services. First and foremost we design, manufacture and fit RIB Tubes / Collars. Thirdly, ReTube services for the used inflatable boat market. We also design and manufacture inflatable structures for the marine, military and leisure markets. Our inflatable boat services also include a range of RIB tube repair types at our facility near Dartmouth Devon or we can supply materials and advice for small DIY inflatable boat repairs. Our local area is South Devon which includes Dartmouth and the River Dart Estuary upto Totnes, Brixham and Torbay district, Salcombe and Plymouth harbour district and also the river Exe Estuary upto to Exeter. Follow the links to the left for more information on our inflatable boat services.